How to Rip DVD Movies to MP4 on Windows (10) for Playbackon iPhone, iPad, Android etc. Guide on how to rip any (copy protected) DVD movies to MP4 file format on Windows (10) for further enjoying on more players and portable devices. Are you embarrassed by the over-sized collection of DVD movies and have no ideal on how to deal with them? This article shows you a simple way to rip DVD movies to MP4 video format to free up physical space and enjoy any of those favorite DVD movies on the iPhone/iPad/Android/PSP and Windows devices anywhere anytime. Rip any (copy-protected) DVD movies to MP4 within mins for playback on handy devices while keeping 100% original quality! 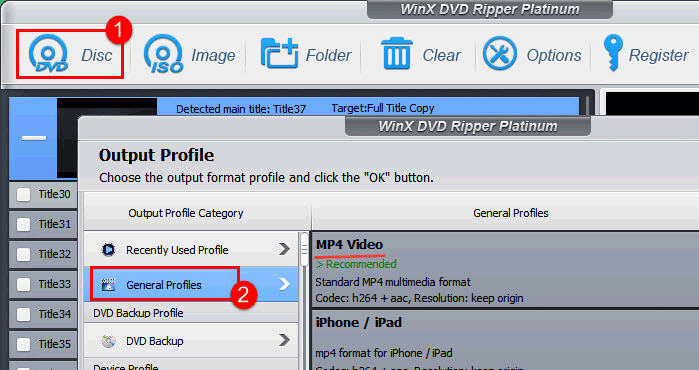 WinX DVD Ripper Platinum is a professional DVD to MP4 converter specially designed for ripping any protected DVDs including new Disney-Pixar Inside Out DVD to MP4 (the most compatible video format) for iPhone, iPad, PSP, Android smartphones/tablets, Windows phone/tablet with removal of copy-protections and output possible highest video/audio quality. It is highly appreciated not only because of its ability to rip DVD to MP4, but fast conversion speed due to Multi-core (up to 8) CPU support and Hyper-threading technology. Plus, it supports ripping DVD to MP4 on new Windows 10 and Mac edition can rip DVD to MP4 on Mac OS X 10.12. How to Rip DVD Movie to MP4 on Windows (10) PC? Step 1. Load DVD (Movie). Free download and install WinX DVD Ripper Platinum. Import the DVD (Movie) disc you want to rip as MP4 file to this best DVD to MP4 ripper by clicking "DVD Disc" button or select DVD folder/ISO image as source by clicking ISO Image/Folder next to "DVD Disc" button. The main title will be checked automatically and Output Profile window pops up the moment all DVD contents are loaded. Go to General Profiles - MP4 Video and click OK. Step 3. Start Ripping DVD to MP4 Video File. 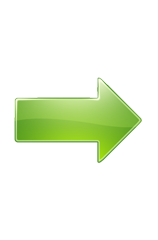 Click Browse button to save ripped MP4 video to destination folder and hit RUN button to start the DVD to MP4 ripping in Windows (10). To convert DVD to MP4 free, please go to best free DVD to MP4 converter. 1. Trim output MP4 video: If you just want to rip a clip as MP4 file from your DVD movie, you can trim the length of the current chapter by setting Start Time and End Time. 2. Adjust ouput MP4 video paramters: If you want to set output MP4 video effect, please adjust video/audio parameters, such as video resolution, bit rate, aspect ratio or audio channel and so on. 3. Add or remove subtitle: This best DVD to MP4 ripper is available to add external subtitle, enable forced subtitle or remove subtitle as you want. Easily rip DVD to MP4 for playing DVD movies back on iPhone 7/6S/6, iPad Pro/Air 3, PSP/PS3/4, Samsung, Google Nexus, Windows Phone etc., with possible highest quality and remove encryptions on DVDs like CSS, region code, Sony ArccOS, Disney X-project DRM (constantly update to the latest DVD copy protections). Apart from converting DVD to MP4 at fastest speed and excellent quality, it's also capable of converting DVD to AVI, WMV, MOV etc, making perfect 1:1 copy as ISO image/VIDEO_TS folder with 5 mins. : MP4wiki - MPEG-4 Part 14 or MP4 file format, is a multimedia container format standard specified as a part of MPEG-4.